What Could Be More Satisfying Than Using This Punching Bag Hole Punch? If you've ever tried to create a set of holes through more than two pieces of paper using a hole punch, you realize how terribly designed those contraptions really are. 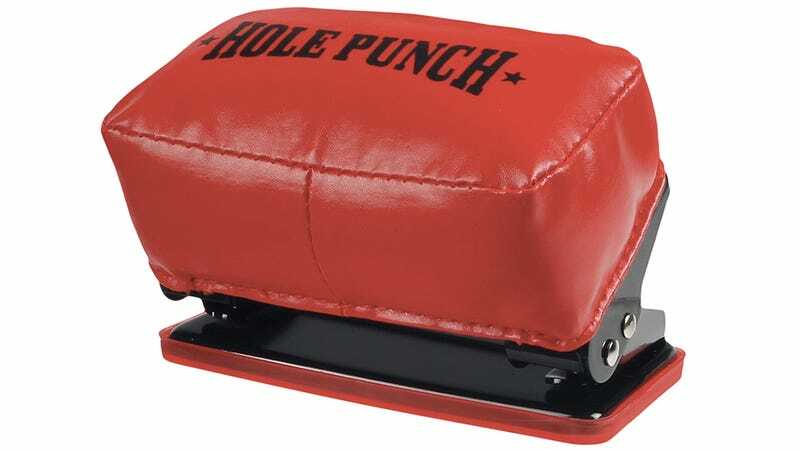 But instead of re-engineering one from the ground up to work better, the folks at Toysmith found another way to make a hole punch more user-friendly with the addition of a padded punching bag on top.